Ciara Sheridan and Séan O'Gorman from Dublin first met when we both started a degree in Science in UCD and became close friends. After they graduated they both went on to study abroad, but a Christmas dinner with friends five years ago brought them back together and they’ve been inseparable ever since. They had a 'low-key' engagement at home, with their family suspiciously arriving over to the house straight away after Ciara said 'yes' ("they had been tipped off by Sean that he was going to pop the question" says Ciara). 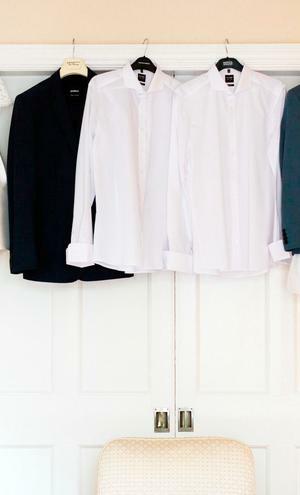 For their big day, the couple wanted a stylish and classic wedding with their closest friends and family. 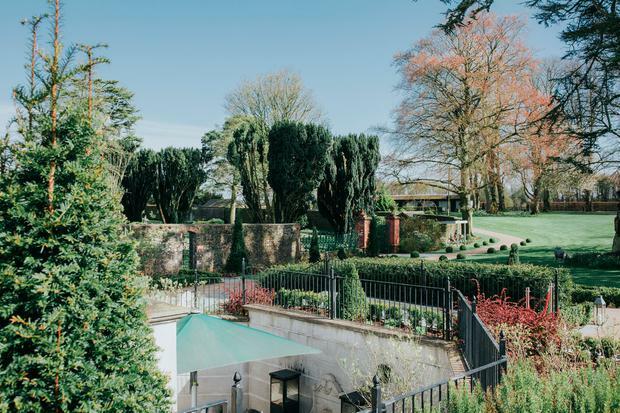 They had no theme ("Although in retrospect it reminds us of the style of Ciara’s favourite old movie High Society") but wanted the wedding to take place in a private country manor where guests could really make themselves comfortable. 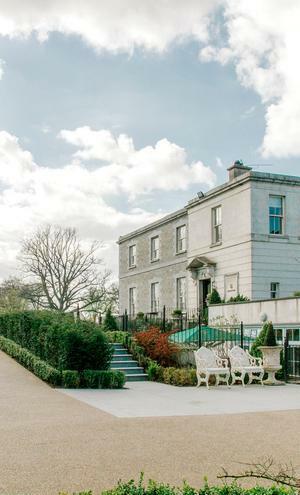 The quickly settled on Tankardstown House in Slane, Co. Meath, after their first visit to the venue - falling head over heels for the beautiful manor house and perfectly manicured gardens. "We really didn’t overly research during the planning process, It was important to both of us that we didn’t get caught up in it all too much, at the risk of forgetting what it was all about," says Ciara. 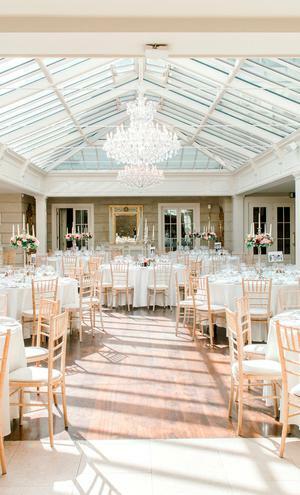 "The elegance of the venue helped us bring our wedding style together." Their photos are by Niamh Smith of The Photography Hub. 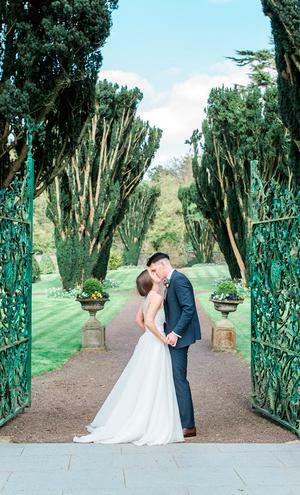 Ciara's Augusta Jones gown was purchased in Sharon Hoey Bridal Boutique in Dublin. 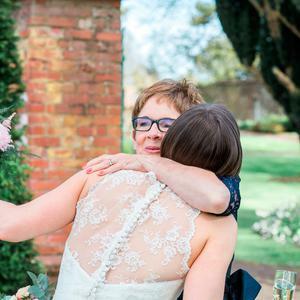 Orla Lee, an old school friend of the bride works for the boutique and Ciara knew she'd be the best person to help her find the dress of her dreams. 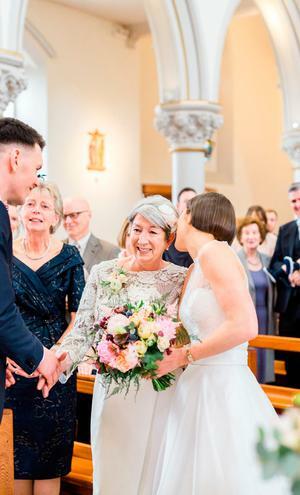 "The dress I chose was the second dress I tried on at my appointment," says Ciara, "Orla is incredible and Sharon Hoey is a lovely boutique - I had the best dress shopping experience with her there." 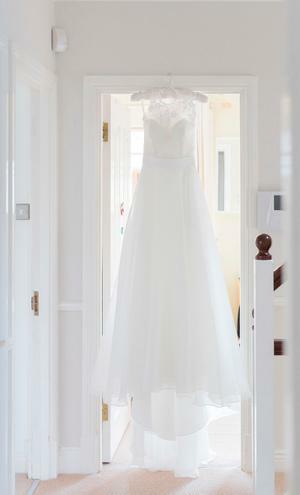 Ciara visited one other store 'to make sure' she was 100% happy with the dress she had chosen before settling on it "but there was never any doubt that I was going to go with the dress Orla helped me pick out." Orla handmade a gorgeous lace top to go with the dress, which Ciara wore for the ceremony and drinks reception, before changing for dinner. 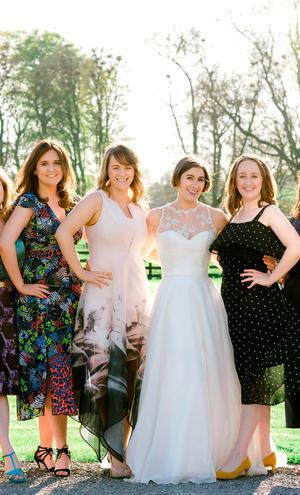 Ciara's sisters were her bridesmaids on the day, and their dresses, shoes and bags were from Cos; "very easy to shop for!" 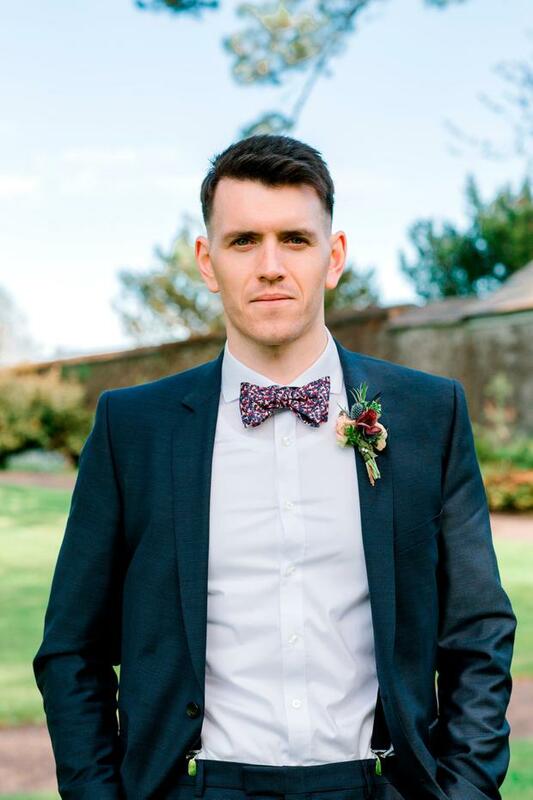 "Séan's suit was bought in Diffney’s, where he and his father have been buying their suits for years. 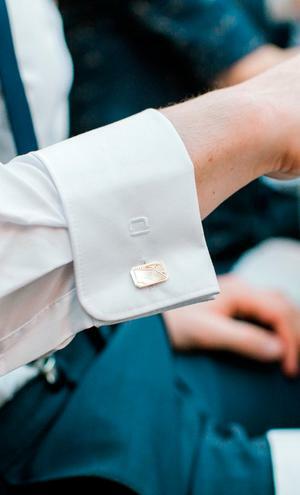 "It was a very easy going experience,," says Sean, "Paul and the gents in Diffney's in Henry Street provide an excellent service!" 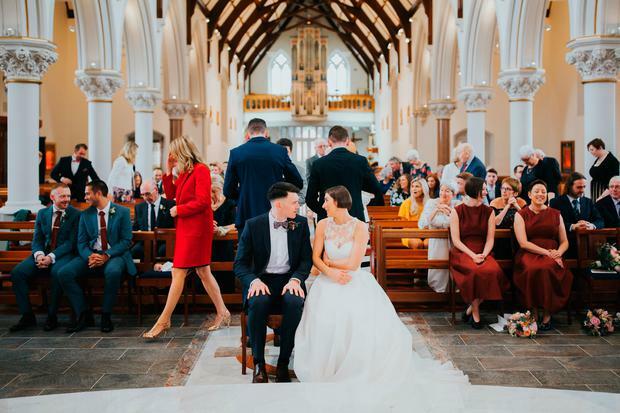 The couple's ceremony took place in Dundrum Parish Church in Dublin, and was the highlight of the day for them both. 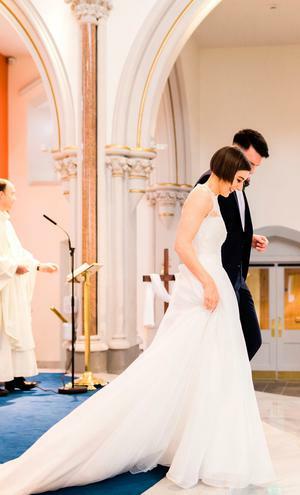 "It was so intimate and happy and Fr John made it so special." 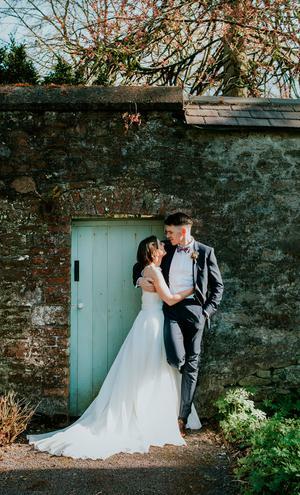 Tankardstown House in Slane was the first wedding venue the couple visited and blew them away instantly. 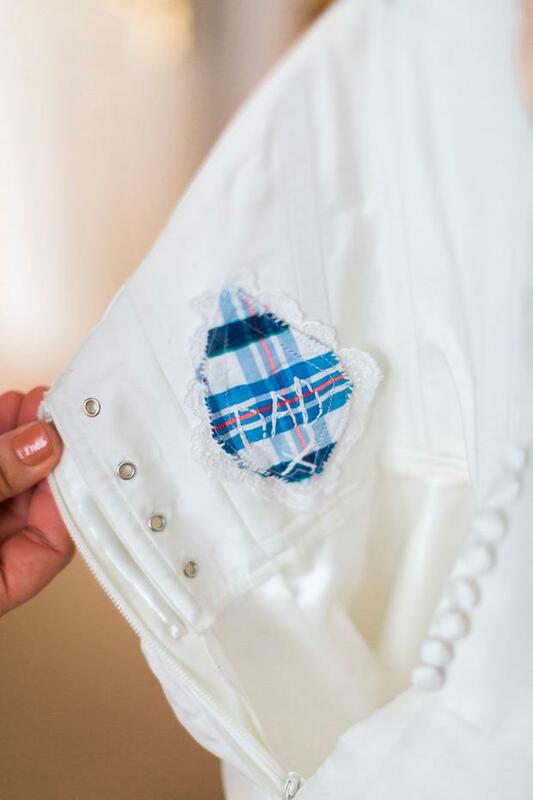 It needed very little decor, however the couple did add some personal touches with some DIY: The flower girl's ribbons and the handkerchiefs carried by Ciara and Sean were embroidered by the bride herself, who also did the mass booklet sketch. 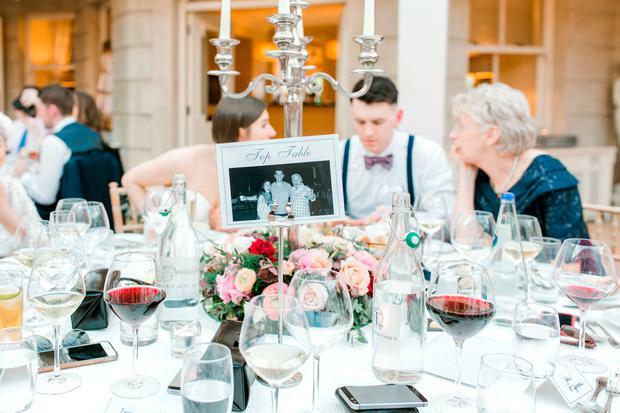 The table numbers were done by Ciara’s brother-in-law to incorporate photos of Sean and Ciara and the thank you sign was made by Ciara’s sister. For their drinks reception guests were served prosecco and canapes which went down a treat after the long drive. "The food in Tankardstown is definitely one of the high points" says Caira, "guests are still talking about the beautiful four course dinner. We served evening food after the band finished, along with some of our cake." "We wouldn’t change a thing!" says Ciara. "Everything was perfect and we had the best day of our lives. Although if the traffic on the M50 could have been more forgiving on a Friday afternoon that might have been kinder for our guests!" 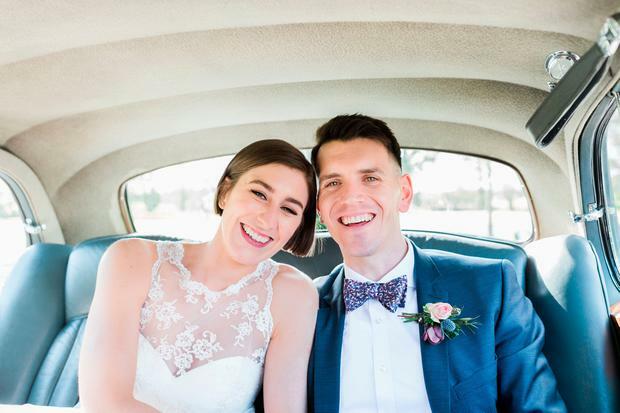 The traffic was a bit of a blessing for the couple however as it provided them with plenty of time to spend alone after they tied the knot - in a pretty amazing car! 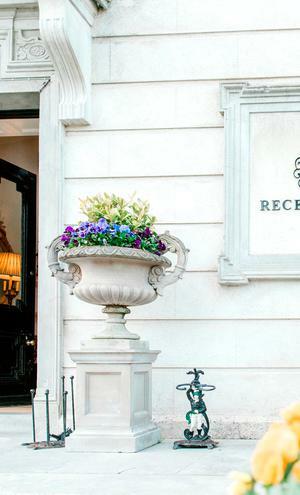 The couple jetted off on honeymoon straight after their nuptials; "We had a night in The Westbury before flying to Mauritius for a week."